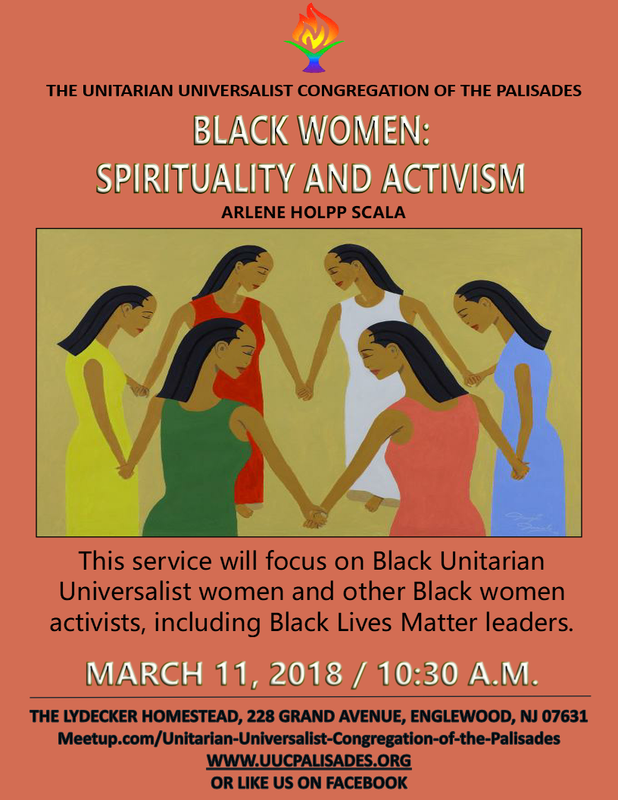 Please join UUCP at 10:30 a.m. for our service led by UUCP Co-President, Arlene Holpp Scala. The service will focus on Black UU women and other Black women activists, including Black Lives Matter leaders. Bring a friend and stay for coffee and light refreshemnts. We look forward to seeing you!